Underneath your tooth's outer enamel and within the dentine is an area of soft tissue called the pulp. This contains the tooth's nerves, lymph and blood vessels. Root canals are very small, thin divisions that branch off from the top pulp chamber down to the tip of the root. A tooth has at least one but no more than four root canals. Deep tooth decay, or an injury, can cause serious damage and infection to the pulp's nerves and vessels. If this is left untreated an abscess could spread to the area outside of the tooth, bone around the tooth may degenerate, causing tooth loss. Once the pulp is infected, the options for treatment are either: Root Canal Treatment or Extraction. 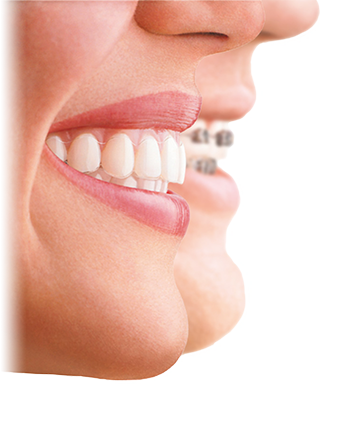 You can be sure that at City Dental, we take every care in ensuring a comfortable procedure for our patients. Root canal treatment is probably the most maligned of all dental procedures, but the reputation of pain typically associated with "having a root canal" is really not deserved. The majority of people who have undergone root canal treatment typically report that the process itself is no more involved than having a filling placed. Step 1:	After the patient is given profound anesthesia, an opening is made into the pulp chamber of the tooth. Step 2:	Files are placed into the canal to determine the length of the roots. Step 3:	Thread like rotary instruments are used to clean the canals, which, along with irrigation, remove infected pulp tissue. City Dental uses the latest nickel-titanium instruments to minimise the time of the procedure. Step 4:	The patient's root canals are then sealed with a biologically compatible material known as 'gutta percha'. Step 5:	Placing a filling then permanently restores the tooth although for optimum long-term results a crown can be placed over the tooth, since root-filled teeth have an increased tendency to fracture. Root canal treatment is a very common procedure. It eliminates nerve problems and abscesses and avoids tooth extraction, and is far more cost-effective in the long term for you. Here at City Dental Leeds we use a special microscope for all root canal treatments. The modern operating microscope allows us to apply microscopic examination methods and microsurgical techniques in dental care, thereby leading to new levels of diagnosis and treatment. High magnification permits the visualization of even the finest details in the tooth structure, details of which are simply not visible with the naked eye. This provides an unparalleled level of presicion for treatments such as root canal therapy.